Pagan evidence of the ancient 'medical' caduceus symbol. The conflict between good and evil is a spiritual battle, fought primarily on the battlefield of religion. For this reason, many Christians have dismissed the above warning as not applicable to themselves. They assume that only pagans and heathens can be deceived by sorcery. Thus, they reject as unimportant one of Scripture’s most solemn warnings. However, the entire reason Heaven destroys Babylon “with violence” is because she deceived all nations by her “sorceries.” The word “sorceries” comes from the Greek work φαρμακεία, φάρμακον (pharmakeia). 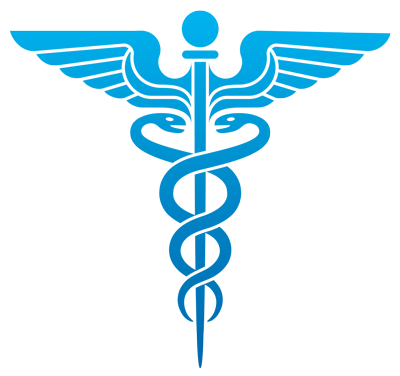 The modern symbol of medicine is the caduceus, or two serpents entwined around a winged staff. This was originally the symbol of Hermes, the god of commerce and inventor of magical incantations who, by the seventh century, became closely associated with alchemy. It is derived from the Greek karykeion which is itself based on eruko which means to restrain or control. 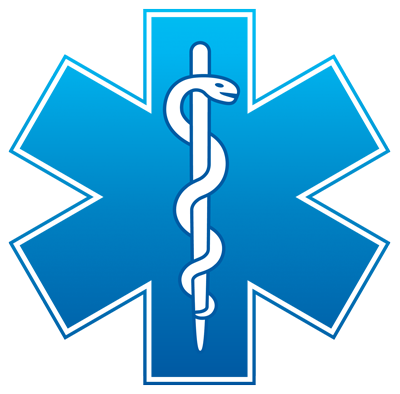 The original symbol for medicine was actually the rod of Asclepius around which a single snake wound. People would flock for healing to temples dedicated to Asclepius, the god of healing. Sacrifices to the god would be offered and any dreams or visions experienced by the patient would be used by the priest/doctor to proscribe a course of treatment. Pagan evidence of the ancient 'medical' rod of Asclepius symbol. Yahuwah has health laws which, if violated, will lead to premature death. Unfortunately, the vast majority of modern medicines have serious side effects which can and has led to the premature death of many. The beguiling serpent as a symbol of modern medicine is very appropriate. Paganism/Satanism is still entwined in many modern healing practices. Most modern medicine is nothing more than contemporary witchcraft, garbed in a scientific disguise. Multitudes today are still controlled by the rod of Asclepius, their once-sharp brains dumbed down by side-effects of the very drugs that are supposed to heal them. The Hippocratic oath, in various forms, is still taken by doctors to this day. “The Oath of Hippocrates has remained in Western civilization as an expression of ideal conduct for the physician.” (American Medical Association, Code of Medical Ethics, 1996 ed.) What many people do not realize, however, is that the original Hippocratic oath began with a call to pagan/demonic deities: “I swear by Apollo the Physician and by Asclepius and by Hygieia and Panacea and by all the gods to bring the following oath to fulfillment." In the battle for the soul, Satan has pulled a sneak attack by the use of drugs in modern medicine. People today scorn the use of laudanum (opium in wine) used hundreds of years ago as medicine, but the majority of modern drugs is even more hazardous with dangerous side-effects which must themselves be treated. This creates a self-perpetrating cycle, creating an ever more heavily drugged populace, dependent on the very drugs making them sick. Autism is a tragic example of the devastation caused by modern immunizations which “requires” the use of still more drugs to control the symptoms associated with autism. Among the general immunized populace, autism in the United States appears once in every 50 people. Among those who have never been vaccinated, however, autism appears only once in every 25,000 cases. The Doctors, a television show which brings together various medical experts, is touted as being “your go-to [source] for information on the latest medical breakthroughs, cutting-edge practices and procedures and newest information about maintaining a healthy lifestyle.”1 On a recent episode, one of the doctors interviewed admitted that the vast majority of what doctors treat is nothing more than side effects from other medicines previously taken. Falsifying test data to fabricate a vaccine efficacy rate of 95 percent or higher. Spiking blood tests with animal antibodies in order to artificially inflate the appearance of immune system antibodies. Although the vast majority of pharmaceutical companies are headquartered in first world countries, the dangers of this deceptive enterprise should be clearly understood by all as various first world organizations “charitably” offer free vaccines to poorer, third world countries. There is mounting evidence to indicate that often vaccines, pills and even topical ointments have been designed to harm the body in certain ways even while relieving other symptoms. Various researchers have claimed3 that the AIDS virus that has decimated parts of Africa and the homosexual population of San Francisco in the United States was released through Hepatitis-B vaccines. Other evidence suggests that sterilization drugs have been inserted in some birth control pills in addition to the more openly acknowledged side effects of, among other things, heart attack, stroke, embolism, tumors, various cancers and even blood clots in the heart and brain. This author, upon reading the package insert for a topical ointment prescribed for a baby, was shocked to discover that one of the possible “side-effects” was chicken pox! 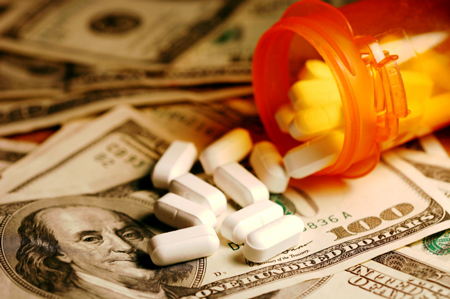 Big Pharma is a multi-billion dollar industry controlled by powerful “merchants of the earth.” The money raised annually for “cancer research” alone is in the millions of dollars – even though the cure has already been found! In 1931, Otto H. Warburg won the Nobel Peace Prize for a breakthrough understanding in cancer cells. Dr. Tulio Simoncini of Italy, using information discovered by Warburg as well as his own research, had an active practice curing cancer . . . until he was demonized in the press, disbarred from the Italian Medical Order and, eventually, served three years in prison doing the very thing Big Pharma claims to be trying to do – curing cancer. You cannot trust the claims of the drug industry because it is purely a money-making business to them. Satan is using the sorcery, the magic of modern pharmaceuticals for one purpose and one purpose only: to poison the body which, in turn, beclouds the mind and thus benumbs the conscience. A clear mind capable of hearing the Holy Spirit is vital in the war against sin. The phrase from Revelation 18:23, “for by your sorcery all the nations were deceived,” is rendered by The Heritage Bible as: ". . . because in your spell inducing drugs all the races were led astray." Yahuwah is the Creator of all. As such, He has perfect knowledge of the best way to get and maintain health. Marvelous are Your works, . . . It is Yahuwah’s will for His people to live lives enriched by good health. This cannot be obtained by the poisonous drugs widely distributed by most modern medical practitioners. Prescription drugs do not heal. They simply control symptoms, frequently at the cost of bringing other harmful side effects. The best way to health is Heaven’s way. Yahuwah has provided cures in nature for every malady. The Internet provides access to a wealth of information previously unavailable. 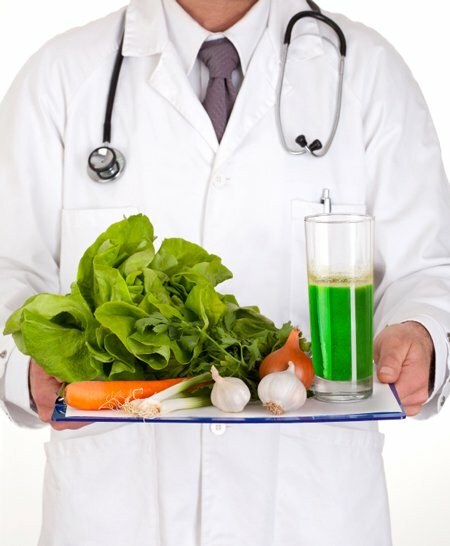 If you have a particular health issue, research online natural remedies that will provide a cure. Today, determine anew to keep all of Yahuwah’s laws. He will give you grace, wisdom and victory in every area. 2 As listed in http://worldtruth.tv/big-pharma-criminality-no-longer-a-conspiracy-theory-bribery-fraud-price-fixing-now-a-matter-of-public-record/. 3 See http://www.bibliotecapleyades.net/salud/esp_salud33s.htm and http://originofaids.com/.